On February 26, the FCC is going to decide if the internet should stay free and fair, or if it should be handed over to the cable companies. 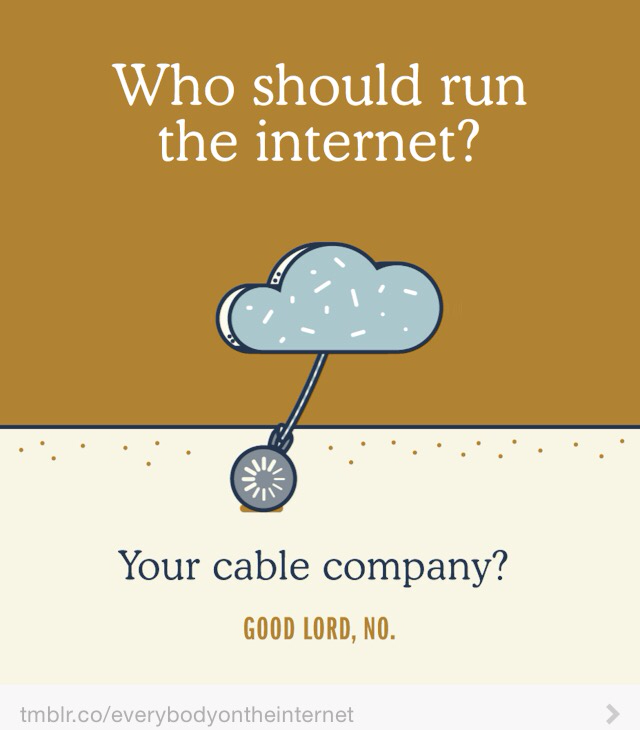 You don’t want them to pick the cable companies. Join everybody on the internet to help the FCC do the right thing.